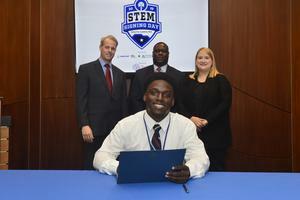 Lee Central High School (LCHS) students De’Ablo Halley and Emani Young-Fortune were among 94 South Carolina high school seniors recognized at the 3rd Annual South Carolina Science, Technology, Engineering and Mathematics (STEM) Signing Day on April 9 by Boeing South Carolina, BMW, and the South Carolina Manufacturers Alliance. 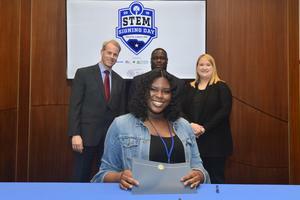 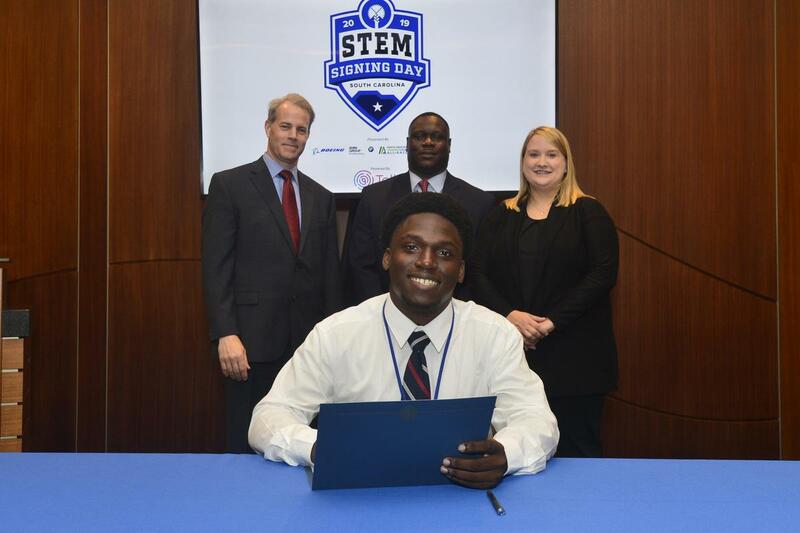 SC STEM Signing Day recognizes students from across the state of South Carolina who have pursued STEM education during their high school tenure and plan to continue their STEM education at two and four-year colleges. Students were identified through the SC Future Makers initiative using the Tallo platform. Halley has plans to attend Charleston Southern University and major in computer science while Young-Fortune will attend Francis Marion University and major in biology. 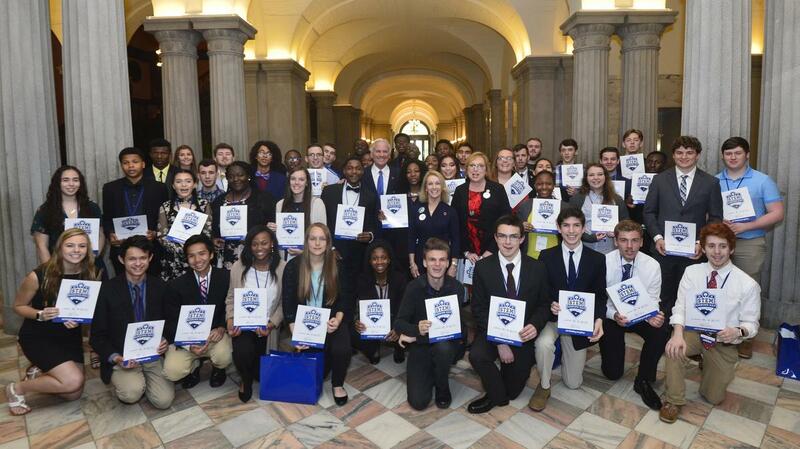 Pictured with LCHS students Halley and Young-Fortune are: Scott Medley (Human Resource Department Manager, BMW), Sara Hazzard (President & CEO, South Carolina Manufacturers Alliance), and Ed Downing (Director of Site Integration, Boeing South Carolina).